How to Transfer Spotify Music to Serato DJ Software? As a professional DJ, it is irresistible to have millions of songs as material to spark your inspiration and create new masterpiece. Since streaming music is becoming more and more popular and has nearly taken over the place of digital downloads and physical CDs which are the sources of DJs, for DJ software, the ability to DJ with the millions of tracks from streaming music catalogue is becoming more and more important now. For the integration, some streaming music services like SoundCloud, Tidal have partnership with Serato DJ and other makers. As for Spotify, the most and widely anticipated to come in DJ lands, it is not available on Serato DJ software so far. How to Add Spotify Music to Serato DJ? In the streaming world, you don’t own the music even though you have paid for the monthly fee, and you are not allowed to add its stuff to other third party software for your own purposes. So is there any other ways you can do to add your Spotify playlist to Serato DJ software? 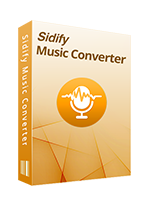 The easiest way is using a third party utility – Sidify Music Converter for Spotify to decrypt the DRM from Spotify music and convert Spotfy song or playlist to digital audio formats including MP3, AAC, WAV or FLAC. 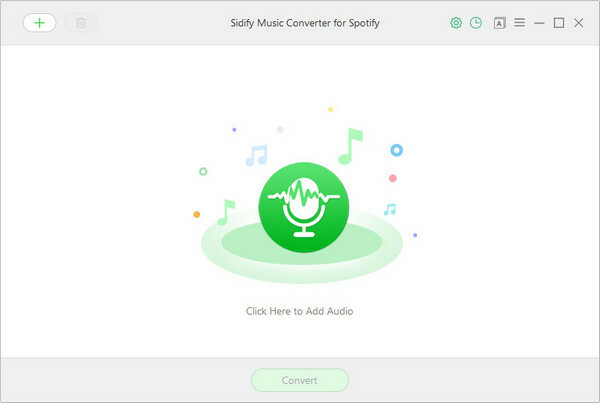 Then you can import the converted Spotify song or playlist to Serato DJ software without any limitation. Highly compatible with latest Windows, macOS and Spotify. 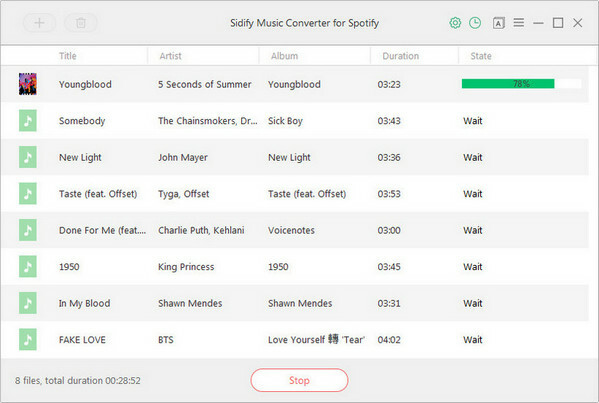 Install Sidify Music Converter for Spotify on computer, then launch this Spotify music converter. Click on + button at the upper left corner of Sidify UI, then a prompt will be shown to let you add Spotify song or playlist. You can copy the link of a song, album, or playlist from Spotify to clipboard, or drag & drop a song or playlist from Spotify to this adding window directly. Then you can click "OK" to check the songs you added. Click on button at the upper right corner, on the prompt, you can choose the output format as MP3, AAC, WAV or FLAC, the output quality as High 320kbps, Medium 256kbps or Low 128kbps, conversion mode (Intelligent Mode, Spotify Record or YouTube Download). And you can change the output path as required. 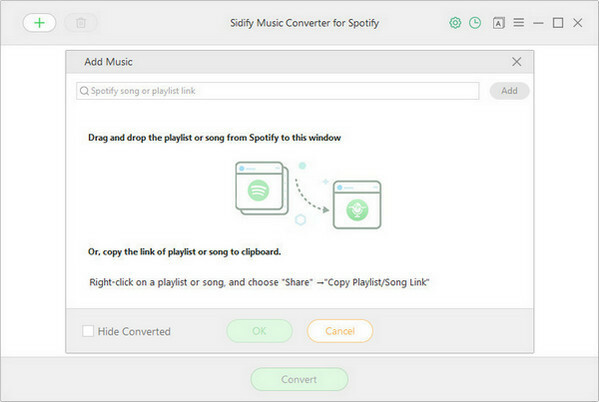 Sidify Music Converter for Spotify also supports saving the output audio into organized folder including Artist, Album, Artist/Album or Album/Artist. 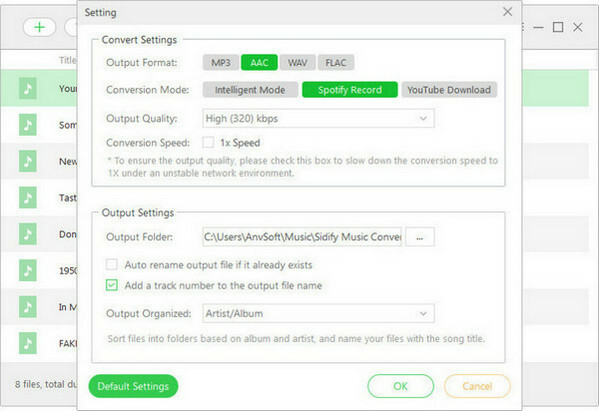 Click on CONVERT button to start converting Spotify music as digital copy. After the conversion completed, you can click icon to find the well converted music. 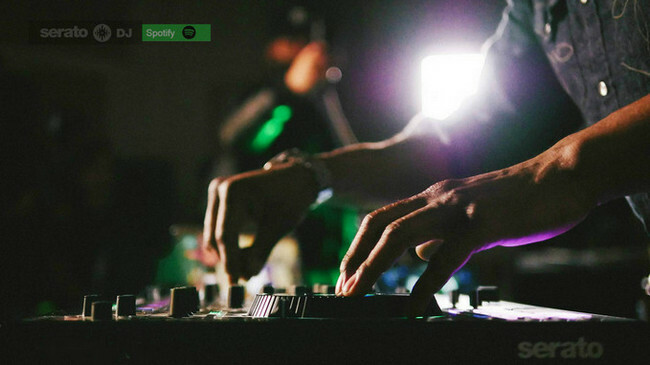 It is easy to load the converted Spotify music from your computer to Serato DJ library, and you can use Serato DJ to manage your music collection by the way. Step 1: Launch Serato DJ software on your computer, then click FILES button to open the file panel. You will see the all locations of you computer hard drive or external drive on the left panel, then you can click one location to navigate the folder you save the converted music. Step 2: Drag & drop the folder or files you want to import to the purple All... icon. Now, all converted Spotify music or playlist are loaded to Serato DJ software from your local drive, and you can use Serato DJ to manage your music library or mix your new masterpiece. How to Add Spotify Music to GarageBand? How to Add Spotify Music to Virtual DJ? How to Use Spotify Music to DJ at Party?